Marketing experts share their strategies for developing a successful marketing campaign in today's multichannel, mobile, social-media-driven world. Today, marketers have more choices than ever regarding how and where to promote or advertise products and services. In addition to traditional methods, such as print advertising and direct marketing, you have email marketing, Web-based advertising and multiple social media sites, such as Facebook, Twitter and YouTube, as well as mobile marketing. And as many businesses have learned the hard way, what works in, say, traditional print marketing, does not work as well (or at all) on the Web or social media sties -- and vice versa. While there is no one sure-fire formula to creating a successful integrated marketing campaign, there are steps that businesses and marketers can take to maximize viewership. Step 1: Have a clear understanding of who your target audience is. "It's important to clearly identify [who your target audience is by] both demographic and psychographic (attitudes, interests and behaviors), to help develop key messages and to identify the best communication channels to reach them," says Linda Pophal, marketing communication consultant, Strategic Communications. Adds Yusuf Bhana, digital marketing manager, TranslateMedia, ask yourself, or your marketing team: "Who are your target customers? What are their motivations? How do they like being communicated to? Which newspapers or magazines do they read and which sites do they visit regularly? Which channels are they using? [And] if they're using social media, what are they talking about? 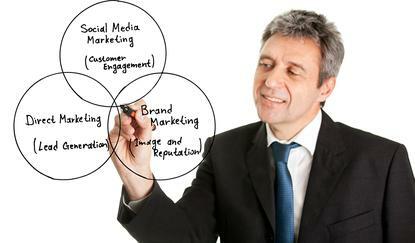 All these questions need to be answered before developing your integrated marketing strategy," he says. Step 2: Pick your channels. "Not everyone needs to be on Facebook, or in a magazine," says Bhana. "In addition to asking, 'Which channels do my customers use?' ask yourself 'What are the channels' strengths and weaknesses? How will they help me reach my business objectives?'" he suggests. "Be ruthless in selecting (and rejecting channels). It's better to concentrate on the more effective channels than trying to be everywhere all the time." Step 3: Have a consistent look. "Make sure your visual identity is consistent," says Andrew Stanten, president, Altitude Marketing. "Visual identity is far more than your logo. It entails having a common overarching design (look and feel), style of photography and graphics, consistent logo treatment [and] common colors and fonts," he says. "Everything should look as if it came from the same [company]. A person reading an e-newsletter or brochure should see an immediate visual connection when visiting the website." Step 4: Create clear, consistent content that can easily be adapted or repurposed to suit different media or channels. "Because it can take more than five impressions for an individual to recognize a brand or specific marketing message, follow the three Cs for marketing messages," says Justin Honaman, partner, Consumer Goods, and retail national practice leader, Teradata, which specializes in data-driven marketing. "Communications [i.e., messaging and offers] must be clear (not [filled with] confusing in words/phrases), compelling (interesting and/or topical to the receiver) and consistent (regardless of channel -- Web, phone, in-store, mobile)." In addition, "every piece of content you develop -- a blog post, case study or video -- [should be able to be] used in as many places as possible," says Stanten. For example, you should be able to take a case study and "use it in your newsletter; post an excerpt on LinkedIn; tweet a series of informational nuggets from the piece; [and use it to] pitch [an] idea -- or the case study itself -- to a publication." Step 5: Ensure that your messaging is integrated.Make sure each element of your marketing campaign "is set up to drive traffic to your ultimate target, whether your target is a website (for purchases, reservations, email newsletter subscriptions, blog RSS subscriptions, etc.) or a social network like Facebook or Twitter (for engagement)," advises Tracie Broom, partner, Flock and Rally, an agency that specializes in integrated marketing communications. "Include links to this online real estate in press releases and on select marketing collaterals," she continues. "Simply including a client's Twitter handle on printed materials can help influencers connect more easily with the brand and spread [the word on] their networks," Broom says. In addition, "URLs and usernames should be as uniform as possible, e.g. @FlockandRally, FlockandRally.com, etc.," she says. And be sure to use the same keywords and phrases throughout your integrated marketing campaigns. Step 6: Make sure your marketing teams/agencies are working in sync. "If you have multiple members of a team working on disparate projects within the same integrated marketing campaign, facilitate team meetings to ensure all members are on the same page, the message behind the campaign is consistent and to manage company brand standards across the campaign," says Lauren Witte, associate director of Marketing at law firm, JacksonWhite, P.C. Similarly, if you are using different agencies to produce different aspects of your marketing campaign, make sure there is someone in-house to monitor and coordinate their efforts, to ensure your branding has a consistent look and feel across channels. Step 7: Don't forget to track your campaigns -- and coupons. "The most important aspect of any campaign, and most especially integrated campaigns, is putting the proper analytics and attribution methods in place to really understand how you're achieving conversions and/or results," says Dylan Whitman, cofounder, Brand Value Accelerator, a digital marketing agency. "Specifically, for those looking to use digital to drive in-stores sales with coupons, using a tracking platform that generates unique barcodes with every coupon printed and then allows you to receive data back from retailers and coupon clearing houses about which corresponding campaign segments are performing best from an ROI standpoint," Whitman says. "This, Whitman says, is a no-brainer approach that very few brands are using, including some of the larger brands in the market."